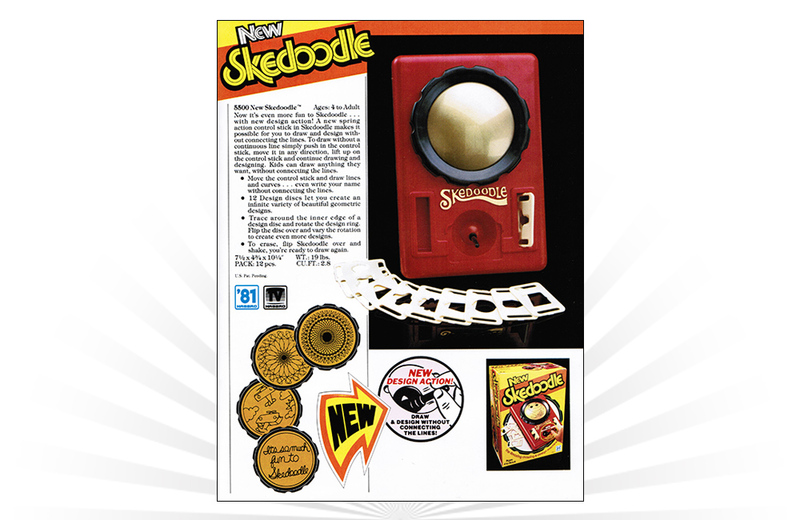 Released by Hasbro in 1979, Skedoodle is one part Spirograph and three parts Etch A Sketch. The design features a curved, circular screen, and control stick – all housed in a red case. Moving the control stick allowed users to draw free-form lines and shapes. Drawing more complex patterns and geometric shapes was facilitated by one of 12 design discs included in the package. Each design disc could be placed on top of the control stick to serve as a Spirograph-like stencil. In 1981, the control stick was upgraded with “spring-action” capabilities that allowed users turn on and off Skedoodle’s drawing capabilities, meaning that you could draw and design without connecting the lines. Mail-order ads for toy soldier sets were routinely found in the back pages of popular comic books throughout the 1950s - 1980s. "You can tell she's Mattel; she's groovy."